While the omnibus spending bill was a huge loss for President Trump's supporters, it was a huge win for the Israel lobby. 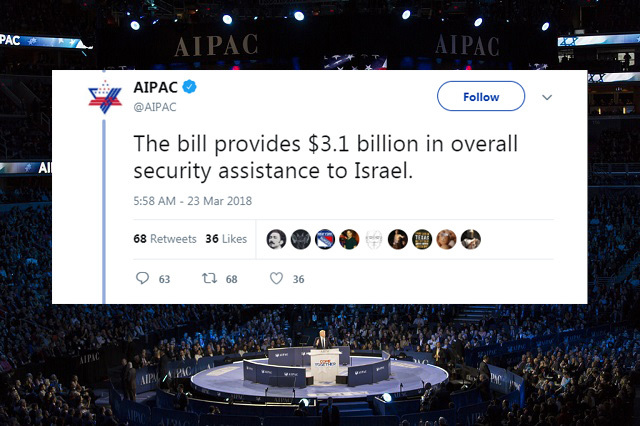 The $1.3 trillion, 2,232 page bill which not one congressman read before passing gives Israel billions of dollars and defunds the Palestinian Authority. The bill had the full support of both the Republican and Democratic establishments. The bill also hits Russia, a key ally of Iran which is Israel's number one enemy, with a host of sanctions. 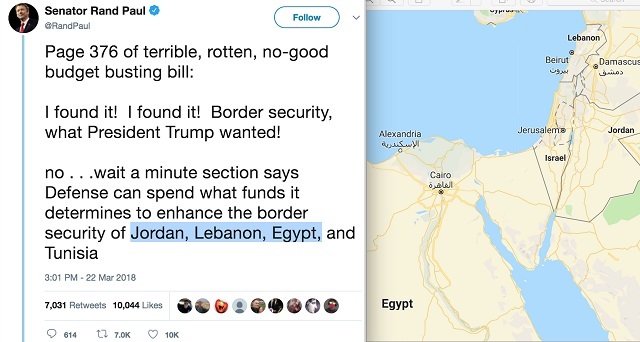 Though America only got $1.6 billion for a few dozen miles of fencing, the countries surrounding Israel got $1.8 billion to secure their borders. It sure would be nice if there was a lobbying group for American citizens which was as powerful as AIPAC is for Israel.